Can’t get enough of durians? If you’re a bit of an addict when it comes to this king of fruits, then this workshop is for you. 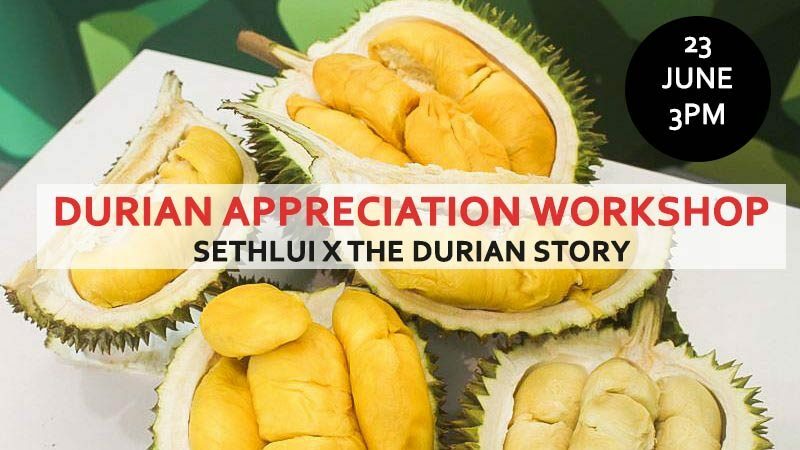 SETHLUI.com is hosting a Durian Appreciation Workshop, in collaboration with The Durian Story, to celebrate our love for this controversial indulgence. Taking place on the 23 June 2018, the tasting workshop will be a hands-on experience covering everything there is to know about these prickly fruits. 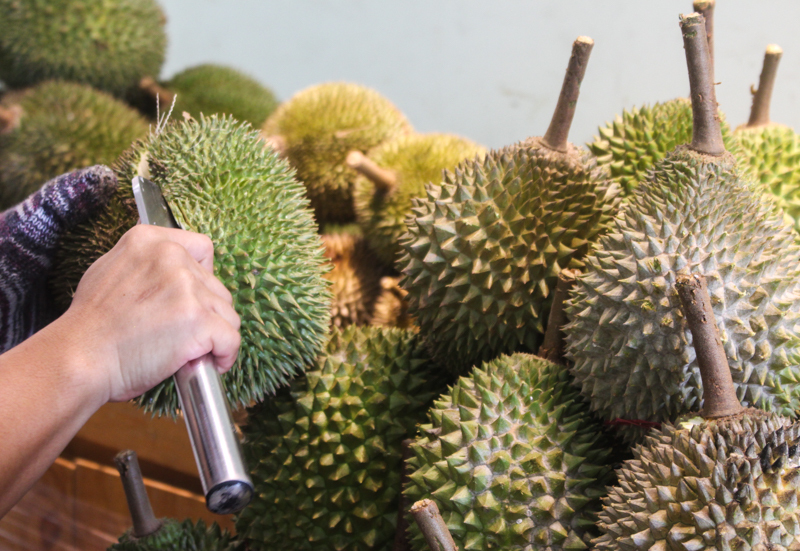 For just $50 per pax, you’ll taste every major cultivar of durians in Singapore and gain insider info on how to distinguish cheap from expensive durians to get the best bang for your bucks. Those a little more garang can even have a hand at opening up the belly of these beasts. Alongside a durian expert, Seth Lui himself will be there to guide you on all the know-how so you can become your very own durian master. Sign up now to never get swindled again by local durian sellers. Tickets are limited, so hurry or risk missing out on this exclusive thorny encounter! Should you have any enquiries, please contact our team at +65 9789 3465.